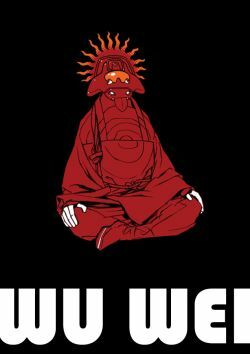 Mike Medaglia’s Wu Wei – a spiritual comics anthology with an emphasis on eastern philosophy – looks set to be one of the highlights of the U.K. small press publishing scene this year including, as it does, contributions from many of my ‘Small Pressganged’ review favourites of the recent past. That amazing line-up counts the likes of Lizz Lunney (Depressed Cat), Nye Wright (Things to Do in a Retirement Home Trailer Park), Owen D. Pomery (Between the Billboards), Zarina Liew (Le Mime), Howard Hardiman (The Lengths), John Riordan (Hitsville UK) and many, many others. 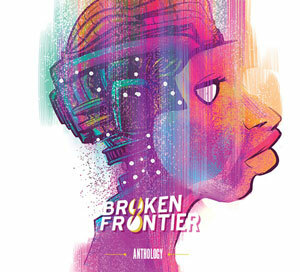 BROKEN FRONTIER: The obligatory question to begin with for those readers who may be discovering your work for the first time through this interview. 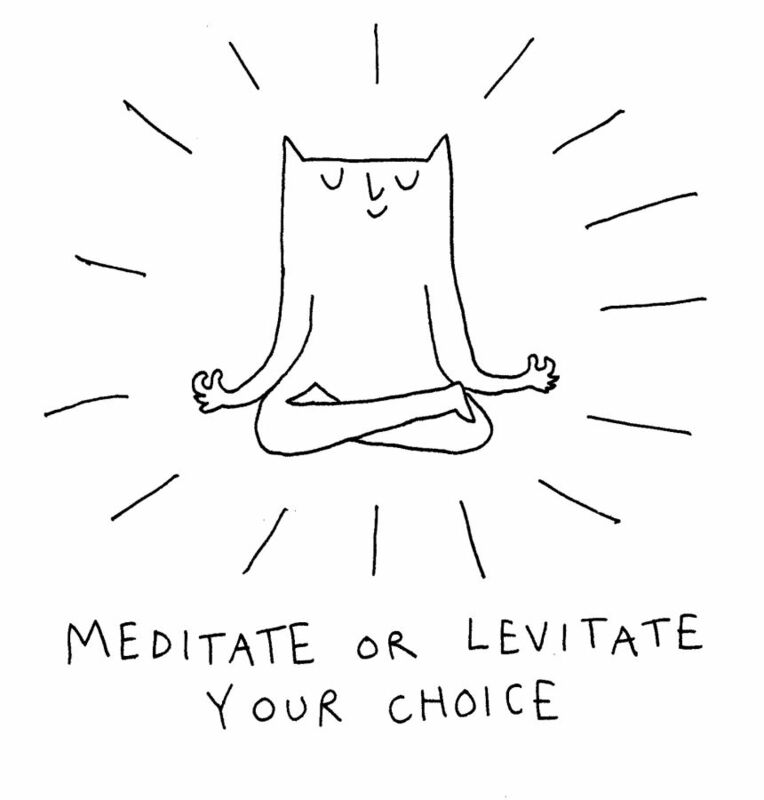 Could you guide us through Mike Medaglia’s path into the world of comics to date? 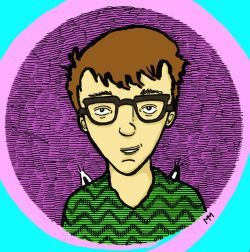 MIKE MEDAGLIA: Hmm, okay, well it has been a long and treacherous road for me to get into comics, full of blood, sweat and tears (seriously, I cut myself once on a pen nib and cried about it!) 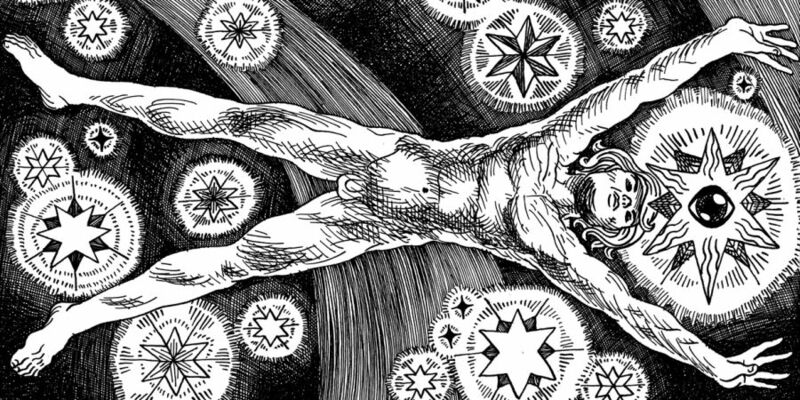 But it all started about 5 years ago when I read Osamu Tezuka’s Apollo’s Song. It flicked some sort of switch in my brain and even before finishing the book I knew that this was what I wanted to do with my life. I spent the next few years travelling with my wife and drawing comics as I went. They were so awful at first that I am surprised that I kept going. 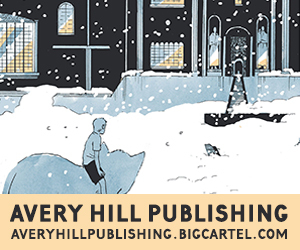 I have self-published a few books and edited a comics anthology and am now talking with publishers about my first graphic novel. 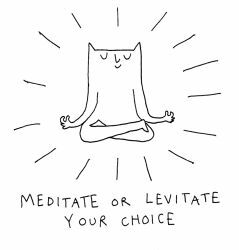 BF: Your work embraces elements of eastern philosophy and, as such, is very defined in tone and approach. In fact, as a sidebar, on re-reading some of your comics in preparation for this interview I was struck by the similarities to Jon McNaught’s graphic novels – both have a similar contemplative emphasis on the quieter, smaller moments in life. Tell us a little about how your interest in Zen and Taoism informs your creative pursuits? MEDAGLIA: It was actually only within the couple years that I connected the two parts of myself together. My earlier work deals more with modern life with a bit of spirituality around the edges of the stories. 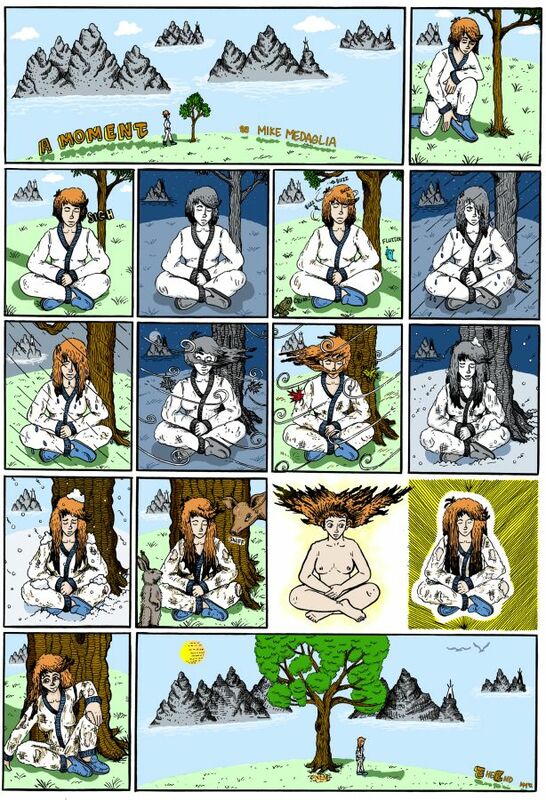 It was only when I drew a one page comic strip for issue #3 of The Comix Reader that I started to explore my spirituality through comics. 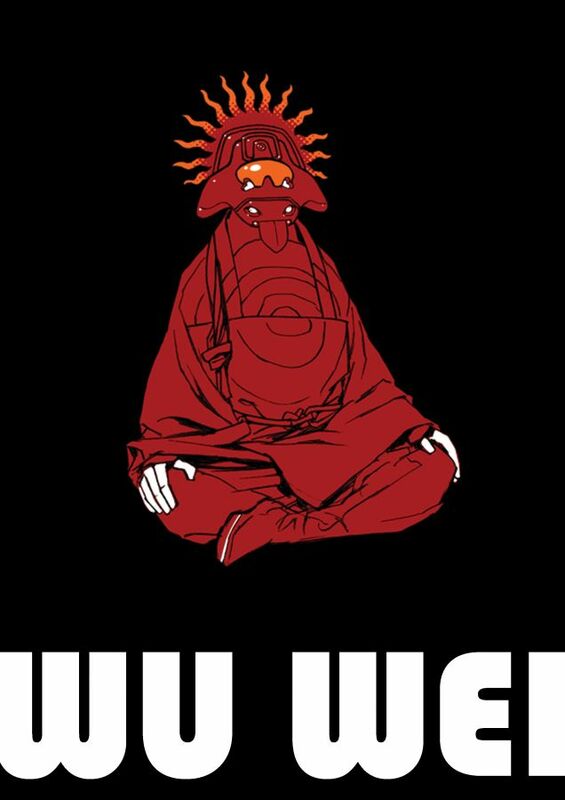 But since then my work feels like it has gotten real focus and in the first issue of Wu Wei, which was a collection of my own stories, I really got a grasp on how to combine comics and spirituality. There is a very rich visual and thematic tradition in eastern philosophy and religions, and drawing on all of that for inspiration feels like I have a bottomless well of places to explore in my work. BF: The first incarnation of Wu Wei was a carefully focused work and one that also felt very personal in delivery. With that in mind, what was the thinking behind opening up the second issue to other contributors and publishing it as an anthology? MEDAGLIA: Having this issue of Wu Wei be an anthology came about very naturally, in the true spirit of the principle of wu wei. I had decided to do another issue and realized that I already had the first 4 pages done, because my friend Tim Hassan had drawn four pages that I had written. So then I thought, well, if it is going to have another artist involved then I would like to have Alex Potts, another cartoonist I admire, be part of it, as I knew he was interested in the themes of the book. So then it just sort of snowballed and before long I had a cover from Glyn Dillon (another favourite of mine) and there were 25 artists involved! To be honest this is the most exciting project I have ever been part of and I feel more like a giddy fan of all the people involved than the editor of the actual book. BF: Indeed, the line-up of creators for Wu Wei does read like something of a U.K. small press “Who’s Who”! What are the particular challenges logistically in co-ordinating an anthology book, and who from the self-published scene can we expect to see taking part in it? MEDAGLIA: The challenges of editing an anthology are balanced between the sheer amount of time and planning that goes into it and also the emotion that can come out of the process. It has been a big job contacting artists and briefing them so that the work comes in on time and in the right format and also providing them with editorial support and helping them developing their ideas, especially with the specific focus of Wu Wei. But the artists involved are all so experienced that a lot of the time, after a few initial discussions, they go off and create amazing pieces. On the other hand the emotional challenge actually comes in between all the organising. One thing that I find really hard is asking artists to work for free and take the time to create original pieces for this project that still feels like a personal project. The amazing thing is the fact that almost every artist I approached came back with a ‘Yes!’, which, needless to say, was very encouraging. So with that in mind I have set the price on the book as low as possible to make sure that it reaches as many people as possible to help promote the artists involved and also the ideas in the book. More exclusive Wu Wei previews. This time from Lizz Lunney and Alex Potts. There are too many artists involved to mention them all (they are listed on the website). But so far I have received some absolutely beautiful pieces from Howard Hardiman, Anuerin Wright, Lizz Lunney, Alex Potts, Tim Hassan, Steven Walsh and O. D. Pomery. However, there are some interesting bits from the book that really need mentioning. The back cover will be an illustration from one of my absolute favourite artists Zarina Liew. Inside there will be an origami comic by A.J. Poyiadgi, which is going to be very unique and interactive. The last page of the book will have a pull out concertina that will be the last panel of a story by Richy K. Chandler. With both of these things, I am really hoping to give the book a tactile feel that really makes it an art object as well as a comic. 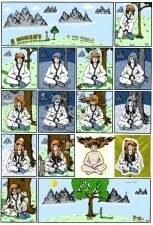 Wu Wei can be purchased online here and the first 100 books get a hand drawn bookplate by one of the artists involved. 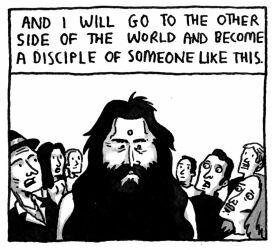 BF: As mentioned, you’ve also been involved with The Comix Reader, one of my 2012 Ten UK Small Press Comics You Need to Own! choices here at Broken Frontier. How did you become a part of that rather unique enterprise, and for those unaware of the paper how would you describe its raison d’etre? 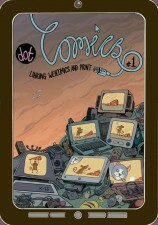 MEDAGLIA: The Comix Reader is a really great publication. 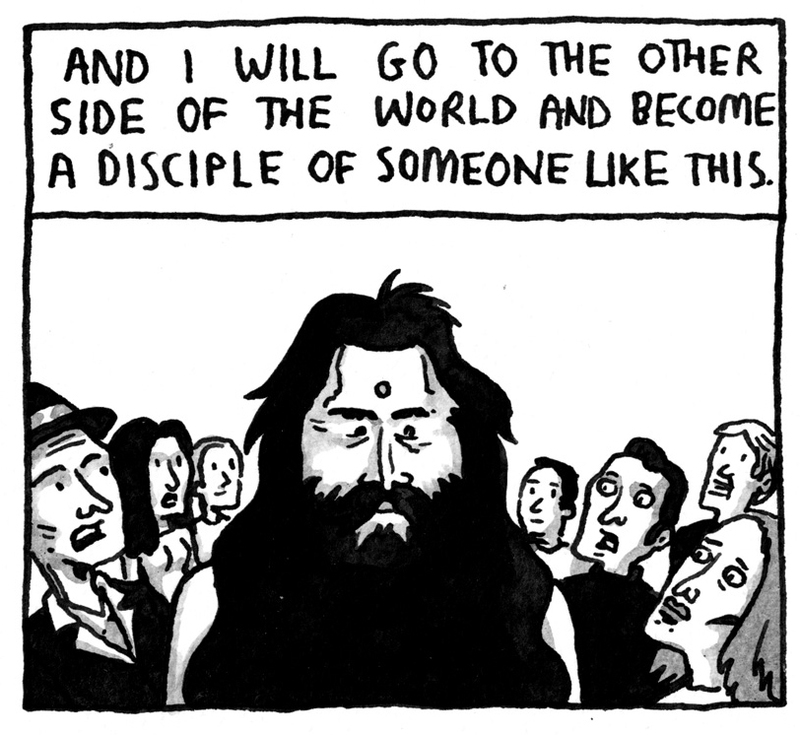 It is a 24-page newspaper comics anthology, published as a collective and retailing for £1. Each page is drawn by a different artist and really has encouraged cartoonists to explore the different ways of using a single page to tell a story in the comics medium. I got involved through a friend who took me to a meeting and after showing my work to the editor, Richard Cowdry, I was asked to do a page for the third issue. If any readers don’t have a copy they are available at the front counter at London’s Gosh! Comics or you can get them online here. 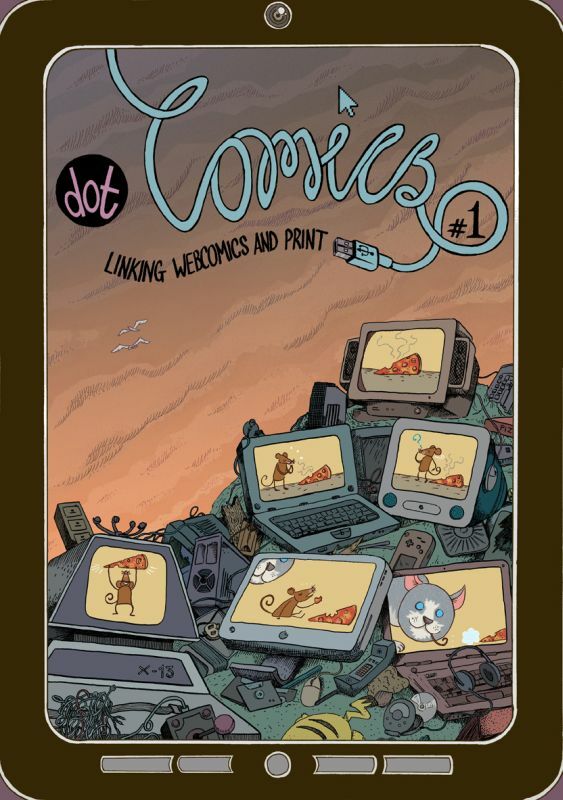 BF: Given we’re at a point where comics, on all levels, are still grappling somewhat with the digital/print divide perhaps one of the most intriguing projects you’ve worked on is dotComics: a print anthology of webcomics work you co-edited with Elliot Baggott. Can you walk us through your aims with that publication? MEDAGLIA: dotComics was an interesting project that aimed to bridge the gap between web-comics and people who have no idea where to start when it comes to reading them. The idea was that you would get a sample of a web-comic in the book and then go online and keep reading the story or strips. BF: And, as a chap of many hats in the world of comics, you co-host the Comics Gosh!p reading group at London’s renowned Gosh Comics. What were the origins of that event and its primary objectives? MEDAGLIA: Comic Gosh!p was started with the idea that I wanted to make an event that really dissected comics and allowed deeper focused discussion on a single graphic novel. I studied English literature in university and really missed looking in depth at a book. Also, Mark Haylock and I thought that it would be a good way to show how much can be achieved using the comics medium, that some comics are great literature. Every month between 20-30 people meet at Gosh! and spend over an hour discussing a book. Then for the last part of the night we look at a self-published comic. I really enjoy that part, since there are so many amazing self-published books being made right now and also have found it a great way to give more exposure to artists that have yet to be published (or may not even want to be). You can find out more info about the reading group here. BF: And, finally, while I’m sure Wu Wei is your driving motivation at the moment, are there any other upcoming comics-related projects you have planned for the longer-term future? MEDAGLIA: For the past year I have been developing the proposal for my first graphic novel. It will be a biography of Ryōkan, a Zen poet from the 19th century. The book will be a combination of the story of his life and his poetry adapted in comics. I have been discussing the project with a few publishers and hope to focus entirely on the book after Wu Wei comes out! For more on Wu Wei check out the website here and don’t forget to pre-order Wu Wei here. Lizz Lunney! Nye Wright! Andy Poyiadgi! Richy Chandler! Zarina Liew! The list goes on… Really looking forward to this one. This sounds amazing! Some of my favourite comics artists are in there, thanks Andy!